We offer a fantastic range of contemporary and traditional cuts and we boast a fabulous product range for a dynamic and modern image. We specialise in creative colouring, from adding a fresh new colouring look through to colour corrections. So if you fancy a change in style or just want a few tips our friendly and professional team are on hand to help. 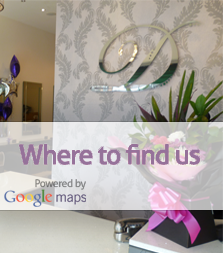 We are a friendly hair salon with a stylish interior. We provide an exceptional level of customer service so you feel relaxed as soon as you walk in. Our stylists offer a detailed consultation so that you leave with exactly the hairstyle you envisaged. We also offer a full colour service and sell gift vouchers for presents. So, come and meet the team, enjoy a coffee or a glass of wine in glamorous, friendly surroundings and be 'dazzled'. We use Wella and L’oreal Professional products and stock both ranges for use at home. There is a permanent offer of 10% off your first visit. There is a 20% discount off a cut and finish to students and over 65's on Tuesday and Wednesday. Our Facebook page is 'Dazzle Hair' and we regularly put any special offers on there. Sarah Booth of Beauty By Sarah in the salon every day, offering shellac nails, file and polish, tinting and cluster lashes. We carry out Keratin Smoothing/straightening treatments from £90. We offer Pamper Parties for your little Princesses. Please telephone the salon for more information. Copyright © 2012 Dazzle Hair Design.